William Hill Vegas is an alternate suite of Vegas-inspired casino games that exists outside the main William Hill Casino. William Hill Vegas is different from the other William Hill online casino products, offering a different variety of games (developed by a different software provider) and its own welcome bonus. William Hill Vegas also offers live dealer casino games, including Live Blackjack, Roulette, Baccarat, and Casino Hold’em – with live HD video and audio streaming and real dealers and croupiers. All the William Hill Vegas games are available to play from your mobile device – either from the downloadable William Hill Vegas App, or the William Hill Vegas mobile website! And now William Hill Vegas is offering 30 FREE SPINS to all new Vegas customers! Just visit William Hill Vegas and opt-in! Click here to get your 30 free spins from William Hill Vegas. William Hill Vegas exists as both a downloadable app in iTunes and the Google Play store, but Vegas is also directly accessible via the William Hill website. The William Hill website is totally responsive, meaning that the site can detect the device you are visiting with and respond with the proper version of the website. So just by visiting William Hill Vegas on your mobile, you will have access to play the Vegas mobile games! We recommend the William Hill Vegas mobile site over the downloadable app because the mobile-friendly website offers more games and less disconnects! Click here to play at William Hill Vegas! William Hill Vegas has an excellent welcome bonus new and existing customers – and is available for both mobile and desktop play. 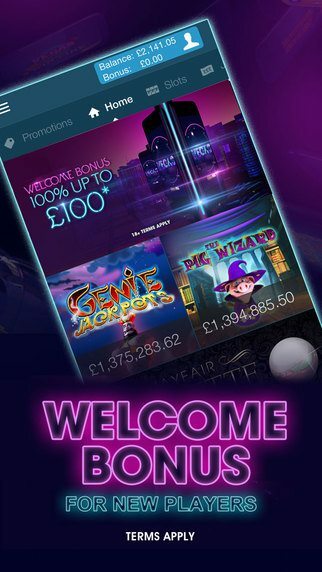 After your 30 free spins, make a deposit of £10 and play with £40. 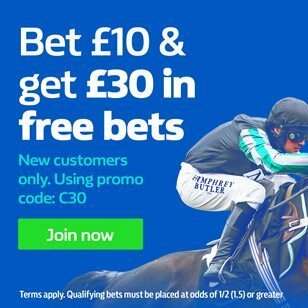 Get a £30 deposit bonus from William Hill Vegas! Click here and cash in at William Hill Vegas! At William Hill Vegas, the intent is to deliver a modern, high-tech casino experience. 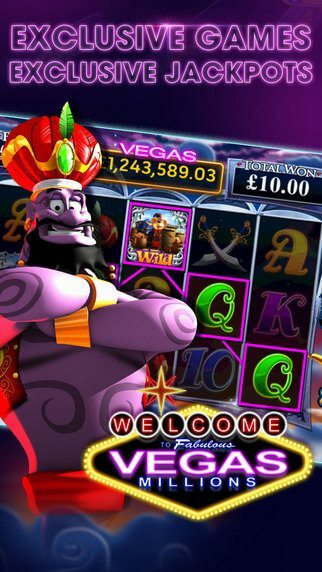 The collection of games is a little less than that of the main William Hill Casino site, but each game is extremely well done with great production values. Its not about quantity, but quality at Will Hill Vegas. 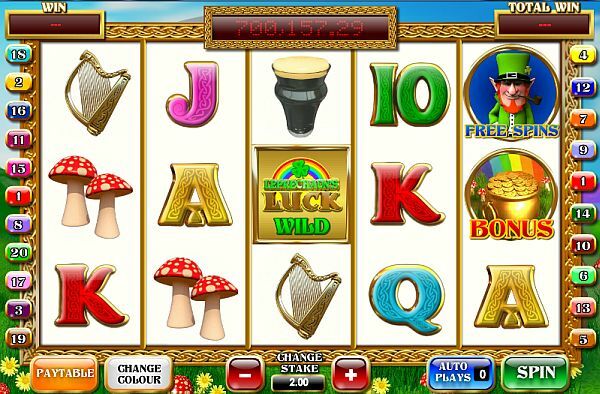 The biggest draw at William Hill Vegas is their slot games, and among the most popular are Leprechaun’s Luck, which can be both played on your mobile device or via the website, Cop the Lot, Alice’s Wonderland, and Fairest of Them All. One of the highlights at William Hill Vegas is the slot selection, and there are currently 48 unique video slots, some of which have huge progressive jackpots. Genie Jackpots hosts the largest jackpot of all the games and Harry Trotter is part of the Vegas Millions jackpot. William Hill Vegas also offers a solid array of table games and video poker games. The casino also has bingo, scratch cards, numerous keno games and specialty games. The most popular table games are of course roulette and blackjack. One very popular component of William Hill Vegas is the live dealer games. From within William Hill Vegas, you can visit the Live Dealer casino and play live dealer blackjack, roulette, and baccarat. And one live dealer game is made available specifically for iPad users! You can visit the mobile.williamhill.com site, log in to your account via your iPad (must already have registered), and select Live Casino. Here you can play live dealer roulette, all from within your iPad’s browser, with no need to download or install any apps! Click here to register your new account at William Hill! Visit LiveDealerSites.com to find more information about playing at a live casino online. Perhaps the best aspect of William Hill Vegas is their awesome and simple welcome bonus. William Hill Vegas bonuses are credited immediately and do not have the typical wagering requirements that most online casinos impose. Also, the minor wagering requirements that do exist can be met with play from the entire game library of William Hill Vegas. You are not restricted to playing only certain games with regards to the welcome bonus, but the games do not count equally towards clearing the bonus. Although the Vegas welcome bonus is smaller than other online casinos, we still think it’s an awesome bonus because of it’s lack of difficult restrictions. In addition, the Vegas bonus is CASHABLE! Ok, so let’s get into the details. William Hill Vegas awards all new clients with a £30 bonus. To claim this free bonus, simply open an account, and make a minimum cash deposit of £10. There is a 50x wagering requirement on the £30 bonus amount. After a customer has earned the £30 bonus, he enters into the monthly bonus structure. The monthly bonus program resets every month, and is composed of 20 tiers, each tier being a 3-day period. How the monthly bonus works is you must wager a certain amount within the three day period. If you reach the next tier’s minimum level, you are given a certain bonus amount, and move up to the next tier. For example, once you’ve achieved your £20 welcome bonus, you are then automatically starting in Tier 1, where you will have 3 days to bet a total of £500. If you achieve that goal in 3 days, you will be given another £25 bonus! And you will then graduate to Tier 2, where you will have another 3 days to now play a total of £4,500 and receive yet another £25 bonus. And so on for 20 tiers! If a player were to complete all 20 tiers, the full bonus amount achieved would be £10,230! Visit William Hill Vegas to see the complete details. Please note that even though William Hill Vegas does not have typical after-the-fact wagering requirements, there are some restrictions. The cash bonuses are only released once certain wagering thresholds are met. Also, not all the games contribute equally towards the wagering thresholds, consult the games contribution chart above. Starting in your 2nd month, the month-long bonus package detailed above becomes available each month. In other words, customers are able to earn up to £10,230 in bonuses each and every month. The first step is a £25 bonus that requires a £500 stake. Despite the unique and generous approach to bonus money at William Hill Vegas, the casino also offers customers entry to the loyalty program. The loyalty program is in effect with the first wager. Each and every wager earns comp points, and then those comp points are redeemed for cash! Click here to try out William Hill Vegas today! 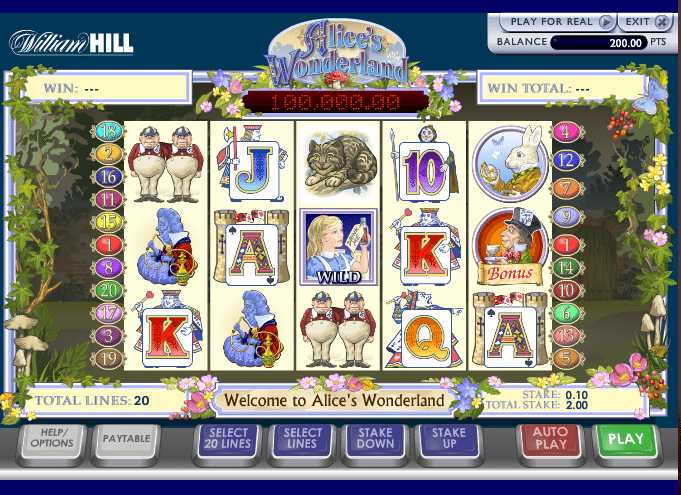 We think William Hill is a class act and delivers an excellent gaming experience. Be sure to read our William Hill Mobile Casino review as well as the flagship William Hill mobile Sports betting app.